Slices of pizza and pieces of art are key to renewed restoration efforts in the Freedom Acres neighborhood in Battle Creek. The opening in April of Sgt. 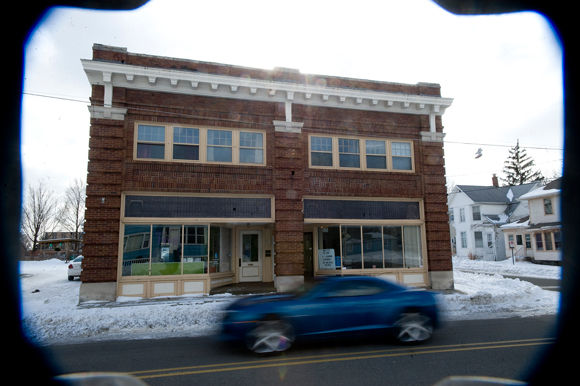 Pepper’s Pizza and Urban Art, with its gallery, studio art space and workshop, have spurred positive changes that neighbors say they expect to continue. There is a long-standing perception that Freedom Acres is home to drug dealing and prostitution, dilapidated buildings and homes, and residents who no longer care about their neighborhood. The reality is a bit different, says Marcus Trammell. Tramell is a community organizer with JONAH, a coalition of 20 local churches and non-profit groups working together in influence political, environmental, social and economic decisions in Battle Creek. He says residents of the neighborhood, bordered by Latta Street to Capital Avenue and North Avenue to Fremont Street, are ready to work to change the perception that’s saddled their area of the city. That work starts with a Community Engagement Center. It opened in January in a two-story brick building at 104 Calhoun Street that used to house Jack Pearl’s sporting goods store. Fresh coats of paint in bright green, yellow and purple decorate the walls in different areas of the building. Barter will be an essential part of any effort to improve Freedom Acres because residents here don’t have a lot of disposable income. Despite this, they are willing to do what they can, says Jeremy Andrews, a community organizer with Neighborhoods, Inc., which manages the center. The lower level of the center will eventually house a Tool Lending Library that will operate much like other libraries. Donated tools, which Andrews hopes to collect from individuals, businesses and organizations in the community, will be available for residents to check-out for home improvement projects. A typical tool library will have anything from hammers to ladders. Andrews says he needs circular and reciprocating saws, drills and the smaller items such as pruning shears, shovels and rakes. “We want to help people who need it, but we’re not going to discourage people who can afford a ladder from coming in,” he says. Andrews gave workshops in other neighborhoods to teach residents how to make home repairs and improvements and he noticed a need to provide tools so they could get the work done. “Out of my barn, I personally lend tools to neighborhood associations and youth groups who want to do cleanup projects,” says Andrews. As a space in the lower level of 104 Calhoun is readied to house tools, the upper floor is already buzzing with activity, hence the name for this section of the center — The Hive Neighborhood Resource Cooperative. Engaging younger residents is something Andrews is particularly interested in. He says he will have a few computers available for students who want to work on homework at the center, which has WiFi. Besides the 2,000 residents of Freedom Acres, give or take a few, the center also is open to groups involved in community engagement work such as JONAH; the Battle Creek Metropolitan Area Mustache Society (Andrews is the founder of the group that mixes fun and charity); and Sprout Urban Farms, a community urban gardening program. Plans are percolating to offer leadership development and civic engagement training to teach residents how to access city resources to bring positive changes to Freedom Acres, a neighborhood named for its ties to Sojourner Truth. Even though Neighborhoods, Inc., owns the building and provides staffing, the center’s programs and services were developed based on the needs residents said they had. Recently residents got together to put a fresh coat of paint on a building which used to house a bookstore. That building has been vacant and repeatedly vandalized since the bookstore closed 30 years ago. “Nobody’s vandalized it since we painted it,” Trammel says. The reason, he says, is simple. Having this accountability is huge in a neighborhood that has seen better times. Andrews says apathy often comes with knowing your neighborhood is poorly perceived across town. 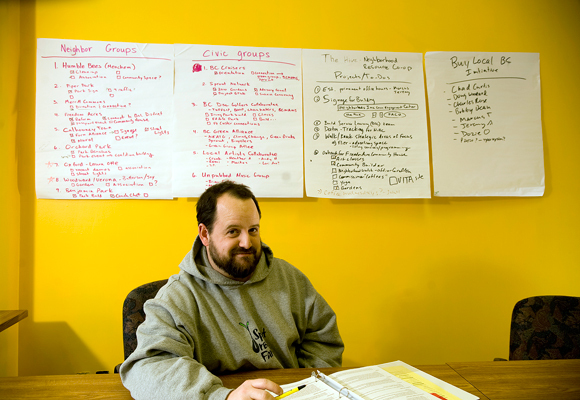 Jeremy Andrews, a community organizer at Neighborhoods, Inc., manages The Hive. 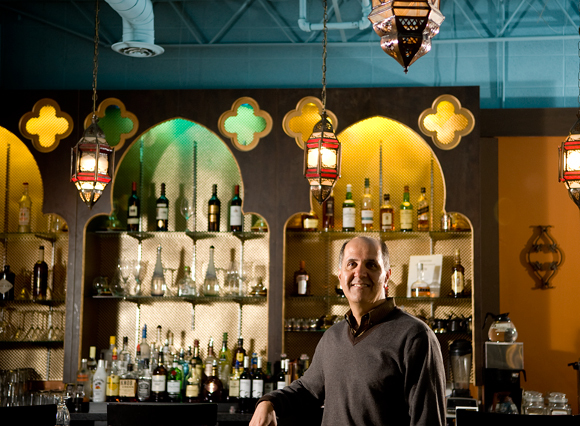 Barter will be a currency of exchange at The HIve located in the Freedom Acres area of Battle Creek. Dozie Ononinuu, left, and Marcus Trammell, a community orginizer with JONAH, talk about streamlining paperwork at The Hive. 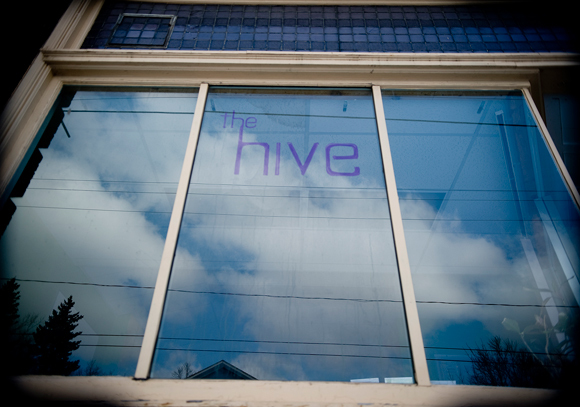 The Hive is located in the Freedom Acres area of Battle Creek at 104 Calhoun Street. Jeremy Andrews, left, and Marcus Trammell help lead the Community Engagement Center called The HIve in Battle Creek, MI.